There are so many reasons why cats make very nice pets. First, they do not demand too much attention than their canine counterparts. They are also quiet and small, so you can take care of them even if you live in a small apartment. While cats are perfect pets, they can also be a nightmare especially if you don’t take care of them properly. Know that cats are hunters by nature and their stubborn characteristics make them very difficult to train, even harder than dogs, thus play and hygiene can be very challenging for cat owners. As a parent to a cat, it is crucial that you provide a good environment for your cat so that it can do what it needs to do. Here are 6 ways on how to keep your cat happy and healthy. Brushing your cat’s hair daily is very important not only to keep hair from sticking to your upholstery but also to cut down on the amount of hairball that can develop within its digestive tract. Cats spend so much time grooming themselves that they might not realize that they have swallowed a lot of their fur. While hairballs warrant no cause for alarm such that most cats vomit or pass the hairball in their stool, a large hairball trapped in the digestive tract can cause blockage and can be life-threatening. Thus, as a cat owner, it is crucial that you groom your cat’s fur daily to reduce their propensity of swallowing a lot of hair. On the other hand, brushing their hair can also create a strong bond between you and your cat. The problem with this is that some cats don’t like to be touched but you can get your cat to cooperate by connecting the act of brushing to a happy event. For instance, you can brush your cat’s hair before a mealtime so that your cat will associate brushing with something delicious. Cats rely so much on meat to keep their bodies going through the day. Feeding them dry food is like feeding them with a high-carb diet. The thing is dry food contains high amounts of carbohydrates, which can lead to cats developing Type 2 diabetes or obesity. So, if you really want to feed your cat the right food, give them protein-rich wet food. Aside from processed wet food, your cat can also benefit if you prepare them their meals yourself. Preparing your very own cat food is easy and you can boil different cuts of meats and add eggs or grated vegetables so that they still get other nutrients. By feeding your cat with the right food, they will feel very happy and it shows in how shiny their coats are or how active they are. Cats don’t like using only one litter box. The rule of thumb here is to provide one litter box per cat plus an additional one or two more. Place them strategically around the house. While some cat owners have the tendency to place litter boxes in the dark corner and out-of-the-way places, cats are not willing to use them because it is not how their nature works. Remember that when they use the litter box to relieve themselves, they are in a very vulnerable position while doing such functions. As such, they want to be able to see everything around them in case they need to flee from a dangerous situation. That’s just how cats think! So, if you are thinking of putting in a litter box with a lid on, forget about it. 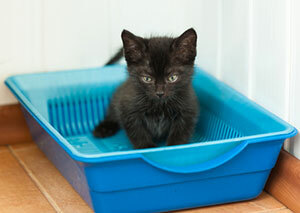 Place the litter box in a place that is accessible to your cat. If you abhor the idea of putting a litter box in the middle of the living room, place it outside and just put a cat flap on the door so that your cat can just come and go if necessary. Cats love to scratch on anything–even your most favorite sofa. To keep everyone happy particularly you and your cat, teach your cat to use the scratching post. Place the scratching post in the center of the living room so that your cat can see it. To make the scratching post more appealing to your cat, you can sprinkle it with catnip. Once your cat has gotten used to using the scratching post, move it to a less trafficked spot so that they can enjoy scratching at their leisure and undisturbed by people. How can spaying or neutering your cats make them happy? Some people believe that it is beyond the call of nature to deprive them of their reproductive functions. Female cats that are in heat feel a lot of discomforts. They forego eating because their need to mate is more intense. This is the reason why cats that are in heat lose a lot of weight. Moreover, if you don’t neuter or spay them, they will continue to produce litters of offspring in their lifetime that may lead to many unwanted cats. Didn’t you know that thousands of cats are euthanized in the United States yearly? So, if you love your cat, spay or neuter them. Many veterinarians are dominated by canine patients. Imagine taking your cat to an animal clinic and be surrounded by a dog? Your cat will definitely be agitated during the entire visit to the vet. So, if you love your cat, look for a veterinarian who has a separate waiting area for cats and dog. However, this practice is not so common among many veterinarians so if you cannot find someone who offers such kind of accommodation, what you can do is to at least call your vet ahead so that your cat does not need to stay in the waiting room surrounded by dogs before seeing the vet. Remember, if you are going out of town for the weekend or working late hours, always hire a reputable cat sitter to look after your furry loved ones.